Co-Enzyme Q10 is vital to every cell in our body. 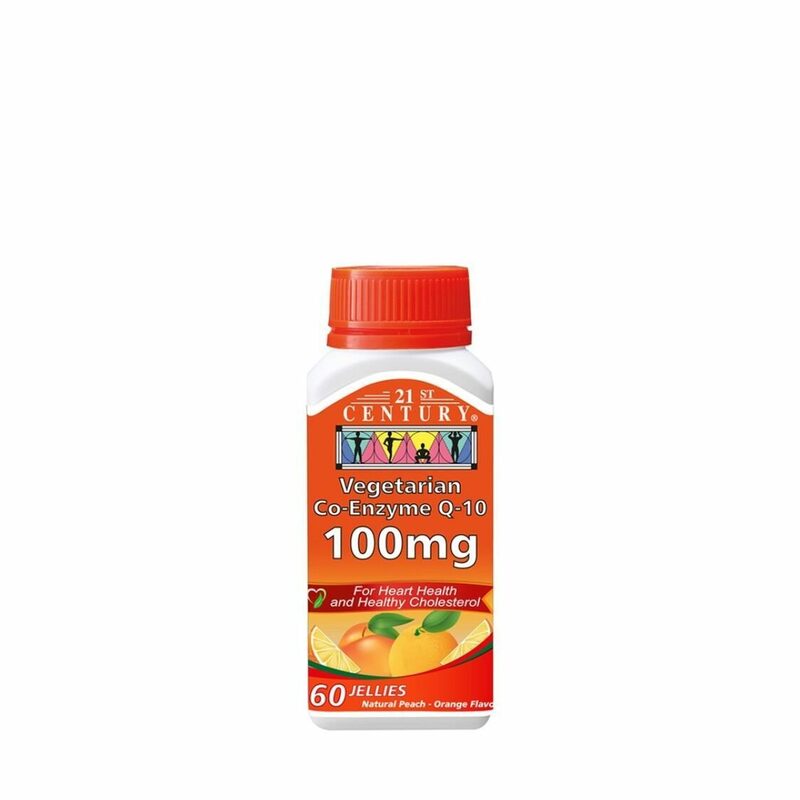 Apart from producing energy, CoQ10 protects the body from destructive free radicals, enhances our immune defenses and helps to slow down the aging process. This Co-Enzyme Q10 is in a delicious Peach - Orange flavoured chewable jellies that are vegetarian that give you the same benefits of regular Co-Enzyme without having to swallow tablets or capsules. Co-Enzyme Q10 is a powerful antioxidant and free radical scavenger which is present in every cell in the body, particularly in muscular tissue such as the heart. Co-Enzyme Q10 levels decline with age and this can affect the heart ability to pump blood effectively and to maintain adequate circulation. It increases the body capacity for oxygen uptake as well as to increase body energy particularly in the elderly. Just chew one delicious jelly daily.